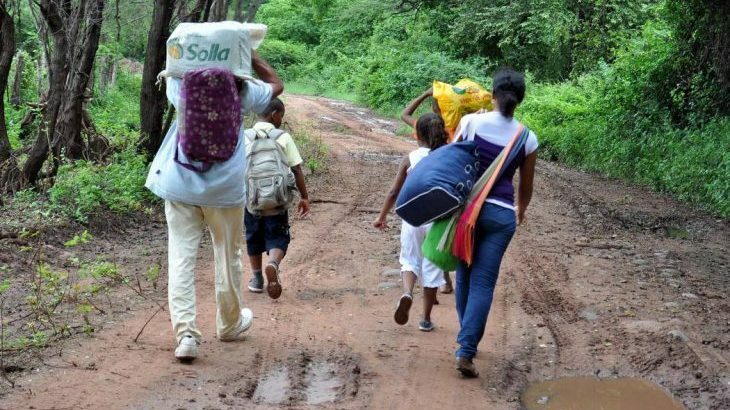 Communities in the Córdoba region of northern Colombia are at grave risk after paramilitaries forcibly displaced hundreds of families from their homes and abducted three coca farmers, two of whom were later found dead. The two bodies were identified as Jhon Jeimer González Vasquez and Julio César Taborda Caro, local peasant farmers who had enrolled on land restitution programmes for victims of forced displacement. Both men had been tortured before being killed. Authorities said they also expected to find the body of the third man. All three were taken from their homes in San José de Uré on 22 March. The killings came as armed groups operating in the region have displaced hundreds of families from their homes. On 21 March, around 160 families were forced to leave the villages of La Esmeralda, La Flecha and Santa Rosa. On 24 March, another 400 families were displaced from the villages of Rogero, Soledad, Riosucio, Santa Bárbara, La Jagua and Puerto Mutatá. Other community members were trapped due to the presence of armed groups. According to a spokesperson for regional human rights organisation Social Córdoberxia Foundation, paramilitaries in Córdoba are targeting people working in voluntary substitution programmes to replace coca plantations with legal crops, one of the core components of the 2016 peace agreement. ‘They are removing people involved in coca substitution from the territory. They are displacing them to make way for new inhabitants and feed the drugs trafficking business’, he said. Despite the peace agreement, armed groups have proliferated in many parts of Colombia, particularly in regions where the FARC’s withdrawal created a power vacuum. As a result, murders of social leaders, coca production and forced displacement have increased significantly in the last two years.